HVDC transmission is preferred over HVAC transmission for power transmission over long distances. This is due to the many advantages associated with HVDC transmission as explained in chapter two of this project. This project thus involved the design of a HVDC transmission line to transmit power between Ethiopia and Kenya. The design involved choice of the most feasible routing which relied to much extend on the feasibility study done by KETRACO Company Limited (Kenya). The entire route was subdivided into five sections. A bipolar dc link configuration was chosen with a standard transmission voltage of ± 500kV. The most economical solution for the conductor type from the design was ACSR Pheasant, four conductors per pole. The conductor size was 726.79mm2 cross-sectional area and 35.10 mm diameter. For each of the five sections subdivided during routing, sags were calculated assuming an erection tension of 63709 N obtained calculations involving the physical conditions of the area during worst probable conditions and during erection time. The largest sag obtained from the calculations was 13.42 m. Insulation design was then done taking into account the effects of pollution, lightning and switching over-voltages. The support towers were also design taking into considerations the values of transmission voltage, sag obtained, insulation lengths and minimum clearance of the line conductors from the ground. The designed transmission line required two converter stations: one at Wolayta/Sodo in Ethiopia and another at Isinya in Kenya. HVDC 500 kV bipolar line corridor for non-populated areas and forests. Trees with heights lower than 4 m were allowed inside a 20 m line corridor and trees shorter than 8 m were allowed for the rest of the line corridor. The transmission and distribution of electrical energy started with direct current (DC) in the late 19th century, but it was inefficient due to the power loss in conductors since the low voltages generated then could not be stepped up. Alternating current (AC) offered much better efficiency, since it could easily be transformed to higher voltages, with far less loss of power. AC technology was soon accepted as the only feasible technology for generation, transmission and distribution of electrical energy. The power systems all over the world have been expanded vastly during the past few decades. Now-a-days large blocks of power are transmitted over long distances from the remotely located power stations to urban load centres. The main limitations of long distance power transmission using AC are: voltage regulation problems and system stability problems. The world’s first commercial HVDC transmission link, was built in 1954 between the Swedish mainland and the island of Gotland, with a rating of 20 MW, 200 A and 100 kV. This was a monopolar DC link which made use of sea return. Electric power transmission can be done using either direct current or alternating current transmission systems. In both systems several design specifications are followed in order to come up with the most feasible and reliable system. 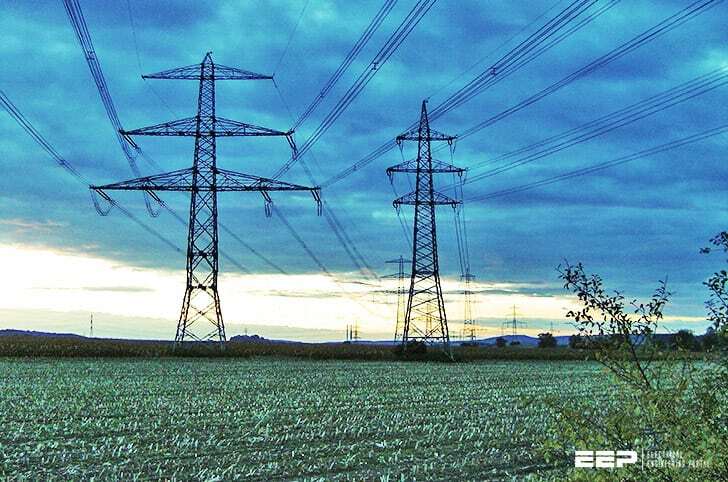 For long distance power transmission HVDC systems are preferred over ac systems. As a result the Kenya-Ethiopia Interconnector adopted a HVDC design approach. A detailed design of the HVDC transmission line for Kenya-Ethiopia interconnector would bring out the design criteria for the HVDC transmission lines and their advantages over the AC ones. The objective of this project was to achieve the design specifications of a High Voltage Direct Current (HVDC) transmission line from Ethiopia to Isinya (Kenya). The type and size of conductor required. The required span, conductor configuration, spacing and clearance. The optimum sags and tension on the conductors. The choice of the ground/earth wires. The type and requirements of the line supports and cross-arms. This project is organised in six chapters. Chapter one gives the introduction to the project, the problem statement and the project’s objective. Chapter two describes the advantages and disadvantages of the HVDC transmission systems compared to the ac systems. It also gives the different types of DC links. In chapter three the general design specifications for a HVDC transmission line are explained in detail. Chapter four gives the procedures followed in meeting the project’s objective. The results obtained and their analyses are done in chapter five, this chapter also presents the efficiency of the designed transmission line and its cost as an estimate. Chapter six gives the conclusion and the recommendations for future work. The project ends by outlining the appendices and references used.